Focal therapy (FT) represents a potential shift in clinical practice by featuring a tissue-sparing approach for prostate cancer (PCa) treatment. It stands midway between active surveillance (AS) and more aggressive options like radical prostatectomy (RP) or radiotherapy. The field has enormously evolved in the last few years but there are still pending questions to answer in the future. The manuscript overlooks FT in terms of indications, available energies, situation of tumor microenvironment, follow-up, re-interventions, and the future of this approach for PCa. Xavier Cathelineau and Rafael Sanchez-Salas each declare no potential conflicts of interest. Walz J et al. Committee1 Diagnosis of Prostate Cancer and Selection for Focal Therapy. In: Image-Guided Therapies for Prostate and Kidney Cancers. A Joint SIU-ICUD International Consultation. Sanchez-Salas, R and Desai, M. [eds.] Melbourne, Australia. October 15–18. Available at: http://www.siu-urology.org/society/siu-icud. Forthcoming October 2016. Barret et al. Committee 3 Imaging in localized Prostate Cancer. Multiparametric Magnetic Resonance Imaging. In: Image-Guided Therapy for Prostate and Kidney Cancers. A Joint SIU-ICUD International Consultation. Sanchez-Salas, R and Desai, M. [eds.] Melbourne, Australia. October 15–18, 2015. 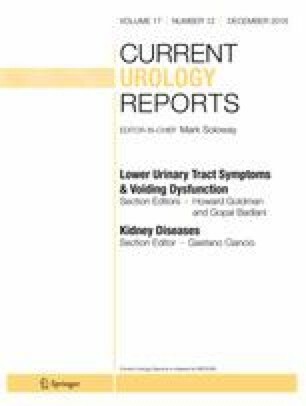 Available at: http://www.siu-urology.org/society/siu-icud. Forthcoming October 2016. Siddiqui MM, George AK, Rubin R, Rais-Bahrami S, Parnes HL, Merino MJ, Simon RM, Turkbey B, Choyke PL, Wood BJ, Pinto PA. Efficiency of Prostate Cancer Diagnosis by MR/Ultrasound Fusion-Guided Biopsy vs Standard Extended-Sextant Biopsy for MR-Visible Lesions. J Natl Cancer Inst. 2016 Apr 29;108(9). pii: djw039. doi: 10.1093/jnci/djw039. Print 2016 Sep.
Konety et al. Committee 3 Prostatic biopsies: available techniques and approaches. In: Image-Guided Therapy for Prostate and Kidney Cancers. A Joint SIU-ICUD International Consultation. Sanchez-Salas, R and Desai, M. [eds.] Melbourne, Australia. October 15–18, 2015. Available at: http://www.siu-urology.org/society/siu-icud. Forthcoming October 2016. De la Rosette T et al. Committee 4 Available Ablation Energies to Treat Prostate Cancer. In: Image-Guided Therapy for Prostate and Kidney Cancers. A Joint SIU-ICUD International Consultation. Sanchez-Salas, R and Desai, M. [eds.] Melbourne, Australia. October 15–18, 2015. Available at: http://www.siu-urology.org/society/siu-icud. Forthcoming October 2016. Polascik T et al. Committee 5 Surveillance after Focal Therapy. In: Image-Guided Therapy for Prostate and Kidney Cancers. A Joint SIU-ICUD International Consultation. Sanchez-Salas, R and Desai, M. [eds.] Melbourne, Australia. October 15–18, 2015. Available at: http://www.siu-urology.org/society/siu-icud. Forthcoming October 2016.